The Early Childhood Kit includes six great resources for early childhood educators. 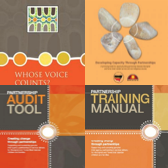 These resources will assist educators to support Aboriginal and Torres Strait Islander children and families with their transition to school and understand their cultural needs. The Children’s Publishing Kit is a ‘how-to” guide to creating books with children with an accompanying DVD and the Child Rights Educator Guide comes with eight wonderful posters for the classroom. This kit, developed by Jane Harrison, shares an innovative methodology for gathering and sharing children’s stories and artwork, producing children’s books to enhance storytelling, cultural sharing and literacy development.  This resource is a flip chart to assist in ‘unpacking’ Aboriginal and Torres Strait Islander children’s cultures and cultural needs. It portrays different aspects of cultural connections that enhance a young person’s sense of identity and wellbeing. 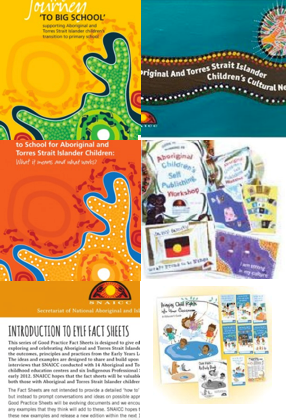 This series of Good Practice Fact Sheets is designed to give educators ideas for promoting, exploring and celebrating Aboriginal and Torres Strait Islander culture whilst implementing the outcomes, principles and practices from the Early Years Learning Framework (EYLF).